The BioHyst believes in the right of everyone to have access to fair terms of safety, health, education and welfare. A right to be guaranteed to future generations. The goal of a company that tends to be of ethical it has to be a man and his action must bear populations that are particularly disadvantaged by the problems of hunger, underdevelopment and exploitation. 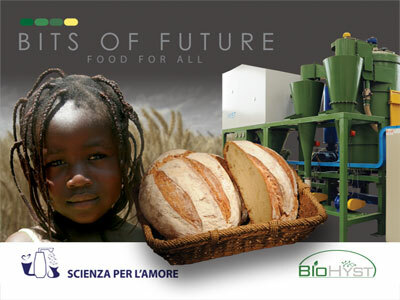 In order for the corporate social responsibility that has a weight on sustainable development in countries afflicted by food shortage , we decided to promote international cooperation project Bits of Future: Food for All. Humanity is “shareholder” of the company, which assigns the task of dealing with humanity itself.